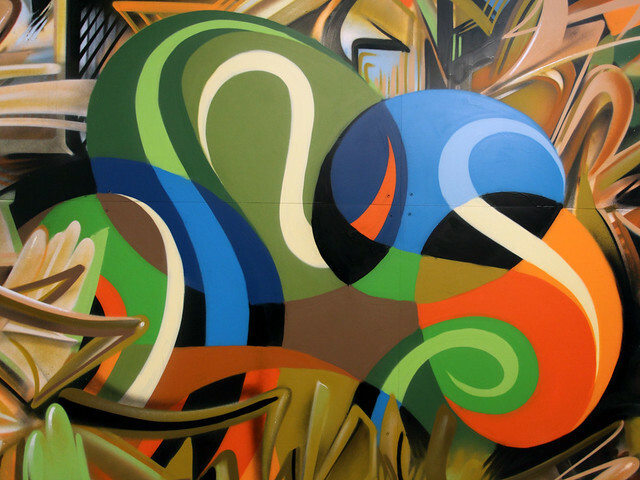 MWM NEWS BLOG: Free Form Flow : Mural & Exhibition. 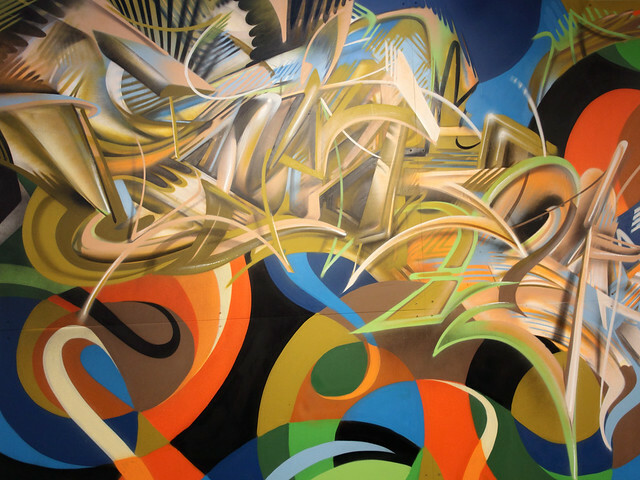 Free Form Flow : Mural & Exhibition. 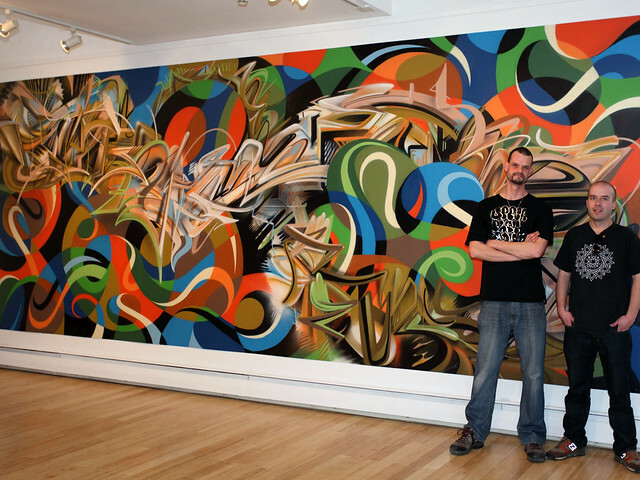 Last night Tim Clorius and I had the opening reception for our show Free Form Flow at UMF Gallery in Farmington, Maine. The highlight of the show is this collaborative mural we painted earlier this month where we blended our different abstract spraypaint vocabularies. It was a lot of fun, and a real honor for me to work with Tim once again. He has been a big brother to me for the past 10 years. Lots of local press came through during the install : Portland Press Herald + Lewiston Sun Journal + Franklin County Bulldog + Waterville Sentinel. BIG Thanks to Gary Lowell from Chasing The Sun for all the great photos. Here's a link to Full Size Photos. You can Click-Zoom these images. And here's the Mural Panoramic View. Tim brought the magic with his painterly three dimensional style and I rocked my organic liquid style. There are some rad moments where the composition blends and different forms weave forward and back. Here's a quick animation of our freestyle process of painting this monster. Good times! 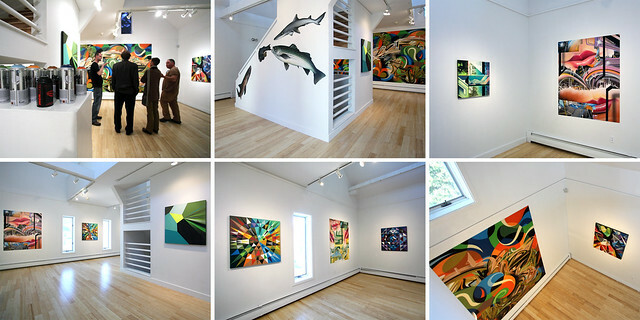 And here are some opening photos that show the canvases we hung. Click-Zoom or Download XL Photos.